When I was young, many years ago now, we used to make little surprises for each other during December, secretly do another's chores, sweeties under the pillow that kind of thing. An atmosphere of thoughtfulness for others to lighten the dark approach to Christmas. Keep am eye on our blog, instagram and facebook pages to join in the December fun, give-ways, competitions, discounts and thoughtfulness. Virtual sweeties under your pillow. 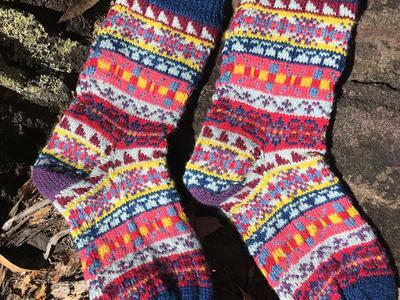 A little later than promised the colourful and cosy Blue Landgirl socks by Kate Wallace are here, perfect with your winter jeans. Meet the Luijks, all two of us and see by whom, where and how your wool is dyed. This film was made by Annie Lesclavec in the summer of 2017. I was so nervous and my French was so bad, you might well be able to understand it, if you are English that is! 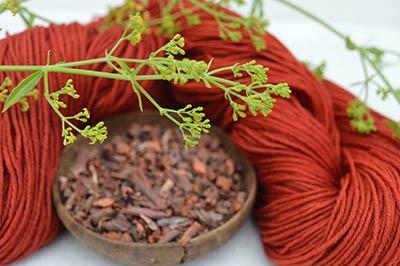 While we are on the subject, this summer we had a visit from our friend Hêlène Magnússon, here her resulting blog post on how to catch the dyeing virus. 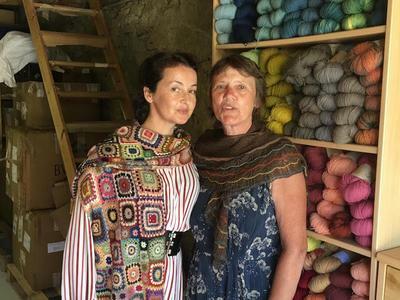 Hélène and us go back to when we were both part of the Wools of Europe exhibition in Paris nearly six years ago. We both are passionate about working with local wool but this summer as we talked through my plant dyeing processes we realised that many of the plants and even the wood ash I use in the indigo vats would not be possible to find in Iceland. The Icelandic dyeing traditions are however still thriving and re-emerging. 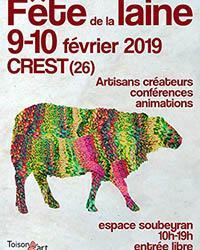 For those of you wondering we will be once more at les Journées de la Laine in Crest, February 9th-10th 2019 . If you can't make that, then you could try Pour L'Amour du Fil, Nantes 24th - 27th April 2019.